District Export Councils (DECs) are organizations of leaders from the local business community, appointed by successive U.S. Secretaries of Commerce, whose knowledge of international business provides a source of professional advice for local firms. For 30 years, DECs have served the United States by assisting companies in their local communities export, thus promoting our country's economic growth and creating new and higher-paying jobs for their communities. 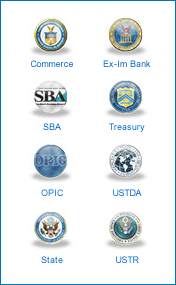 Closely affiliated with the U.S. Commerce Department's U.S. Export Assistance Centers, the 59 DECs combine the energies of nearly 1,500 exporters and export service providers who support the U.S. Government's export promotion efforts throughout the country. 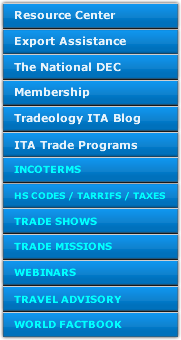 DEC Members volunteer their time to sponsor and participate in numerous trade promotion activities. They also supply specialized expertise to small and medium-sized businesses that are interested in exporting. Each DEC's Executive Committee works with the membership to create an annual strategic plan that involves all members in mission fulfillment. Recommendations for appointment are based on the individual’s position in the local business community, knowledge of day-to-day international operations, interest in export development, and willingness and ability to devote time to the council -- at his or her own expense.